Last edited by Reservoir Dog; 02-11-2019 at 08:46 PM. Looks cool and fun. (and not as dark as "Titans") Surprised we haven't seen the Negative Being yet. (it wasn't in "Titans" either) It shouldn't be that difficult an effect to pull off unless they got really ambitious about it. I like Cyborg's vibe. It's a more upbeat characterization. Well, when you're on the Doom Patrol you kind of have to try and be as upbeat as you can, despite the situation . I’ll give this a shot, but I have a hard time getting into the doom patrol, and it’s overblown weirdness. Robot man really looks clunky, so i’m Wondering of this is what dc is going for. I'm sure the clunkiness is meant to give him a more Frankenstein's monster vibe, emphasizing his loss of humanity. It will be interesting to see how he feels about his tech compared to Cyborg's. Cyborg? Was he ever on the team? Never ever. I kind of wonder why he is now. They already have Robotman. Why? Because the cast needed a minority character. Simple as that, and to hell with anything even remotely resembling continuity from the original comics. Many really great reviews of the pilot if you search "doom patrol review" on twitter. 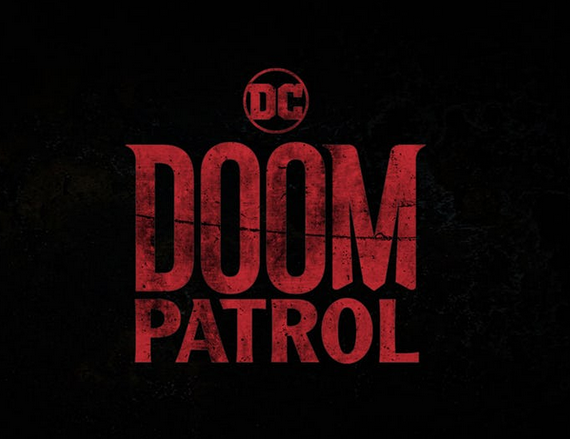 I LOVE Doom Patrol but was iffy on the series until I saw so many great reviews. Now I can't wait. Every cast of everything should have more parity/representation. If TV/film/animation were direct adaptations of the comics virtually every character would be a straight white male. Welcome to 2019. That's not okay anymore. GOOD. Should have happened long ago, in comics and in comic book adaptations. The cast has two poc. Crazy jane is the other one and she is latino. Last edited by mace11; 02-11-2019 at 09:29 PM. I think it's strange to go with Cyborg when he's on the Justice League in the DCEU and they have a Titans show where he'd make more sense and not go with Tempest (Joshua Clay not Garth) for Doom Patrol or someone. None the less they were the best part of Titans and looking forward to the show. It's as strange to have Cyborg on the Justice League as on the Doom Patrol when he was a [New] Teen Titan right up to New 52, but it would be appalling if all our comic book adaptations were as white as the comics have historically been themselves. I'd be all for Tempest. I'd also be cool with making existing white characters non-white. Representation has to happen somehow.